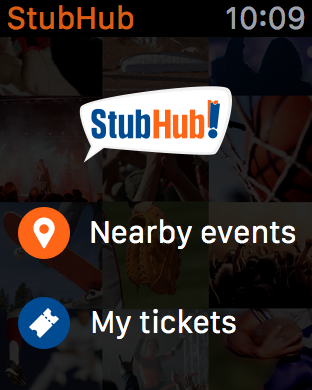 Get tickets to the games, concerts, and theater shows you want to see – or sell them when you can’t go – right from the StubHub app. Our FanProtect™ Guarantee means we back every order, so you can buy and sell tickets with 100% confidence. Plus, with All-in Pricing, the price you see on StubHub is the price you pay. Every ticket. Every day. 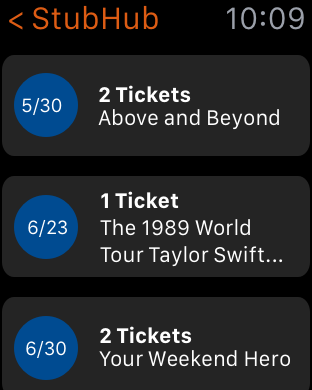 With StubHub on your Apple Watch you can check out nearby events, receive notifications for ticket finds, see a countdown to your next event with a Glance, and quickly access your mobile tickets. 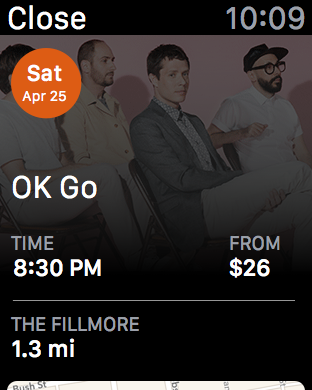 Plan your weekend and find those hard-to-get tickets easily with StubHub. 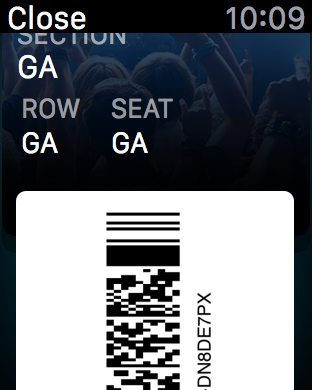 Get into select events using your Apple Watch and our Watch optimized tickets. See the latest events going on near you, with information about prices, distance and venue location. Set a reminder to get notified a few hours before the event start to purchase tickets on your phone. See all of your upcoming orders with information about your event and each available ticket. Get hyped about going to your next event! StubHub Inc. provides the world’s largest marketplace for buying and selling tickets. Whether it’s a game, concert, or theater show, their app continues to lead the way in helping you attend the entertainment events you want most.